Add some new matching wheels to your DMI 500-1044, 802-1044, 500-1044 or 802-1044 series walker and glide smoothly across most surfaces. 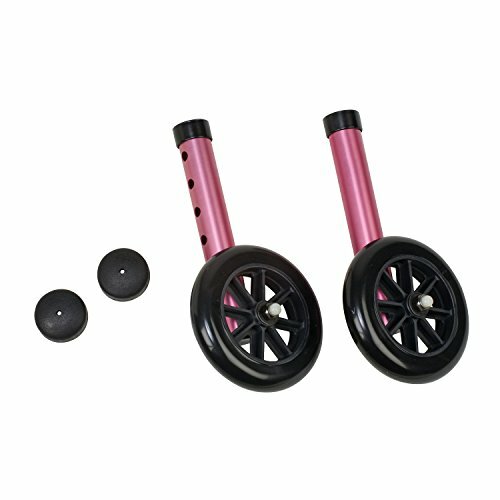 These stylish DMI Walker Wheels with Glide Cap Kits, available in several colors (see our other listings), are made to match the color of your walker. The height adjustable legs fit one-inch inside diameter tubing. Each kit includes two non-swivel 5-inch durable nylon wheels and two plastic glide caps.